The treaty provides that disputes are settled by binding arbitration before the International Centre for Settlement of Investment Disputes (ICSID). Uruguay had received accolades from the World Health Organization and from anti-smoking activists for its anti-smoking campaign. On 8 July 2016, after 6 years, the ICSID ruled in favor of Uruguay, forcing the demandant to pay the expenses of the defendants and the court. Cigarette box of the company Philip Morris. On 19 June 2003, when the Uruguayan President was Jorge Batlle, the General Assembly of Uruguay approved the Framework Convention on Tobacco Control, an agreement whereby Policies recommended by the World Health Organization were implemented. In 2006, Uruguay under President Tabaré Vázquez, an oncologist by profession, began to enact comprehensive anti-smoking legislation. On 1 March 2006, Uruguay became the first country in Latin America to prohibit smoking in enclosed public spaces. In March 2008 the legislature approved Law 18.256  which includes six strategies of anti-smoking policy. Some of the measures by the government were the ban on selling different types of presentations of the same brand of cigarettes, the dissemination of images warning about the risks of smoking and covering at least 80% of the cigarette pack, raising of taxes, banning cigarette advertising in the media, and banning sponsorship of sports events. In addition, smoking was banned in public places such as offices, student centers, bars, restaurants, dances and public places, among others. The smokefree campaign "Libre de Humo de Tabaco" was gradually implemented by the "Ministerio de Salud Pública del Uruguay" (Ministry of Public Health of Uruguay). Philip Morris International is a multinational company, a leading producer of cigarettes, of which it owns seven out of twenty global brands. 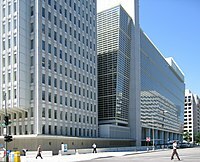 The tobacco company initiated a claim in the International Centre for Settlement of Investment Disputes (ICSID), a part of the World Bank seeking $25 million in compensation from Uruguay. In that forum, an arbitration tribunal was formed with one arbitrator appointed by each party and a third arbitrator elected by the arbitrators appointed by the parties. The plaintiffs are FTR Holding SA (Switzerland), Philip Morris Products SA (Switzerland) and Abal Hermanos SA (PMI representative in Uruguay) against Uruguay (ICSID Case No. ARB/10/7). "We have no choice but to litigate" said Rees. The company said it has sought to dialogue with the government without success. —  Morgan Rees, Director Communications Regulatory Philip Morris International, in 2010. "Philip Morris (which sued Uruguay for its anti smoking measures) wants to make an example to Uruguay and intimidate other countries." —  Tabaré Vázquez, November 2010. Philip Morris has filed similar cases against Norway and Australia. On 2 July 2013, the tribunal decided it had jurisdiction. The resolution of the case, which affected international jurisprudence, took 6 years; the case ended on 8 July 2016. The World Bank [ICSID] ruled in favor of Uruguay, forcing the demandant to pay the costs of the defendants and the court. The final report established that Philip Morris had to pay 7 million dollars to the country for judicial expenses, in addition to paying different amounts for the fees and administrative expenses of the three arbitrators and the CADI. Gary Born emitted a discordant decision in two of the points of the judicial failure. After its victory in the case, the government declared that from 2017 cigarettes in Uruguay will be sold in generic packaging. The World Health Organization (WHO) and the Pan American Health Organization (PAHO) supported Uruguay. Uruguay's anti-smoking efforts also received support from past New York City Mayor Michael Bloomberg, and from Bernard Borel, Swiss deputy from the Canton of Vaud. "This decision is an acknowledgment of Uruguay's continued efforts to protect its population from tobacco use and tobacco smoke from others." —  Carissa Etienne, Director of the Pan American Health Organization, August 2016. According to Enrico Bonadio, Senior Lecturer in Law at City University London, the ruling in the case "may make it more difficult for tobacco companies to use lawsuits to produce a “chilling effect” and so discourage countries from introducing tobacco control policies." ^ El Espectador (9 March 2010). "Philip Morris versus Uruguay" (in Spanish). Archived from the original on 14 March 2010. Retrieved 15 November 2010. ^ a b BBC (12 March 2010). "Tabacalera Philip Morris demanda a Uruguay" (in Spanish). Retrieved 15 November 2010. ^ PMI. "Philip Morris International Management SA - Switzerland Operations Centre". Retrieved 15 November 2010. ^ AP (8 July 2016). "Uruguay Wins Dispute With Tobacco Giant Philip Morris". ABC News. Archived from the original on 9 July 2016. Retrieved 23 October 2016. ^ El Observador (6 September 2011). "Cigarrillos mentolados aumentan la adicción" (in Spanish). Retrieved 13 September 2011. ^ El País. "Philip Morris deberá pagar a Uruguay US$ 7 millones por gastos judiciales" (in Spanish). ^ BCC. "Histórico fallo a favor de Uruguay en el juicio contra la tabacalera Philip Morris" (in Spanish). ^ elfinanciero. "Esta es la historia de Uruguay (David) contra Philip Morris (Goliath)" (in Spanish). ^ LR21 (9 July 2011). "Uruguay cree que Philip Morris incumplió pasos previos a la demanda" (in Spanish). Retrieved 4 August 2011. ^ Uruguay Legislature (6 March 2008). "Ley Nº 18.256 Control del Tabaquismo" (in Spanish). Archived from the original on 16 April 2014. Retrieved 10 March 2009. ^ MSP. "Campaña "Libre de Humo de Tabaco"" (in Spanish). Archived from the original on 15 June 2010. Retrieved 15 November 2010. ^ Alfred-Maurice de Zayas (16 November 2015). "How can Philip Morris sue Uruguay over its tobacco laws?". The Guardian. Retrieved 22 October 2016. ^ ICSID (26 March 2010). "ICSID - Case Details". Retrieved 17 November 2010. ^ AFP (15 November 2010). "Philip Morris quiere dar un "escarmiento" a Uruguay, acusa ex presidente" (in Spanish). Retrieved 10 March 2009. ^ "Decision on Jurisdiction" (PDF). 4 July 2013. Retrieved 22 August 2014. ^ El Observador. "A partir de 2017 los cigarrillos se venderán en empaquetado genérico" (in Spanish). ^ Canal 12. "Vázquez anunció en cadena nacional que Uruguay ganó juicio a Philips Morris" (in Spanish). ^ LR21. "Drogas" (in Spanish). ^ "PAHO WHO | PAHO supports Uruguay in litigation filed by industry against tobacco control measures". PAHO supports Uruguay in litigation filed by industry against tobacco control measures. Pan American Health Organization. Retrieved 1 September 2016. ^ El Espectador (15 November 2010). "Alcalde de Nueva York apoyó a Mujica en caso Philip Morris" (in Spanish). Archived from the original on 17 April 2011. Retrieved 16 November 2010. ^ La República (19 March 2010). "Suiza apoya a Uruguay" (in Spanish). Retrieved 21 April 2011. ^ OPS. "OMS y OPS felicitan a Uruguay por su victoria ante Philip Morris" (in Spanish). ^ theconversation. "Uruguay's victory against Big Tobacco is more than just a local triumph". Retrieved 31 July 2016. Wikimedia Commons has media related to Caso Philip Morris contra Uruguay. This article draws heavily on the in the Spanish-language Wikipedia, which was accessed in the version of 5/2013. This page was last edited on 5 August 2018, at 20:03 (UTC).